The lingcod is an important commercial fish in Washington, Oregon, California, and Alaska. Lingcod are also sought after by recreational anglers because of its aggressive behavior, size, and table value. Lingcod are recognized by their large head, large mouth, single long dorsal fin, and elongate body which narrows towards the tail. Lingcod can reach up to 5 feet in length. 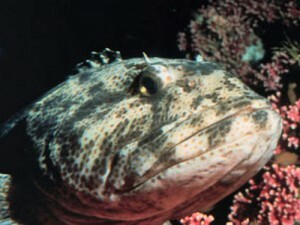 Lingcod are usually dark gray, brown or a greenish color on the back with mottling or spotting along the back.